Debts often create a sense of desperation. Whether you are taking a new loan or just paying off an existing one, there’s a feeling of indignation over how long it takes to repay. Making a decision to get out of debt is already tough, not to mention devising ways to raise the amount of money required is challenging. You can pay it off fast by minimizing costs, developing an aggressive debt repayment plan and increasing your channels of income and sticking to a budget. Depending on the gravity of the debt, you may also want to hold off credit card payments till you have fully cleared the balance. Experts advise using extra cash earned from different ventures to pay off debt. Of course, securing one form of employment is already involving, so looking for another to clear debt proves tougher. But thanks to online jobs, people can earn extra cash at their convenience. Our discussion focuses on the types of online work you can do to make money that will get you out of debt. With a significant number of businesses increasing their online presence, there is need to employ more people to expand into the realm. Virtual assistants work from homes and are responsible for tasks that range from simple clerical duties and are rewarded on an hourly basis. To start off, you just need to sign up to various sites and bid for jobs. Though the pay is rather low from the onset, you may use the first few jobs to bid for more lucrative orders. The pay depends on your level experience and the number of tasks completed, but seasoned virtual assistants earn up to $40 – $50 per hour. If you have additional rooms in your house, you may consider renting them out temporarily or on a full-time basis. Today there are plenty of sites where you can place adverts for free, whether you want to rent out the room for a day, a week or a month. However, if you can’t tolerate someone else living with you for months, invite international students who only reside for six weeks and pay extra if you provide breakfast. Other sites allow you to rent out a spare room for a night to tourists or business people in your area. Rented out rooms will get you earning up to $5,000 a year tax-free. If you are always using a laptop, you could make a few extra pounds and win some freebies by doing online surveys. However, you should be careful about which ones you join, and it’s best to set up a different email account for online review sites and cashback sites as the companies send lots of spam emails. The idea is to promote another business’s product so as to earn a commission if customers buy the item. Affiliate marketing is based on revenue sharing where, if a company has a product and wants to sell more, it provides a financial incentive to promoters via an affiliate program. But, if you don’t have a product and want to make money, you can promote a value product and earn income as an affiliate marketer. People with non-retirement brokerage accounts that aren’t earning any interest on debt should consider cashing in on them. This can be done via online brokerage markets. Experts advise cashing in when you have held the investment for at least a year as the gains you have earned are considered long-term capital gains and are taxed at lower rates than the usual. Apart from looking for additional channels of income, you should change your spending habits at least for a while till you can repay the entire amount. It allows you to pay more than the monthly minimum amount, thus repaying the debt faster. You may also consider renegotiating the interest rates with your lender. 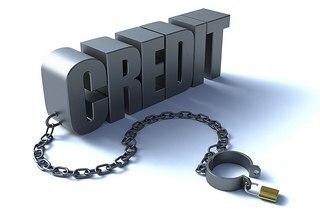 Users who have good credit histories may garner on the reduced interest rates. It’s very easy to live in debt if you never face the reality of the situation. However, no matter the kind of debt you are in, it’s important to know if there’s a way out. Of course, it doesn’t happen overnight, but a debt-free future is possible if you develop and stick to a debt repayment plan. Never again is my motto concerning debt. All I have at this point in my life, early 60’s, is a very low, manageable mortgage with a great rate. I can pay it off with savings, but I’m not sure that’s the right thing to do at this point. But having lived a debt lifestyle for many years, mostly because of bad choices, I have finally learned and will never go back. Hi Bev – I think that if you can enter the retirement years debt-free you’re way ahead of the game. Back when I was doing income taxes I was stunned by the number of people in their 60s and 70s who had large mortgages, car payments, lot’s of credit cards, and even student debt loans from their kids. It seemed that for a lot of them, what retirement income they had was largely being eaten up by debt payments. In this day and time, being debt free at any age is no small accomplishment. Thank Bev for throwing light on some realities that one needs to understand at an early age. I had been paying for my own insurance ever since I landed up with my first summer job. Even today I don’t need to walk my way up the debt mountain. Analyzing your financial situation helps you develop your budgeting strategies. Don’t use your cards unnecessarily!